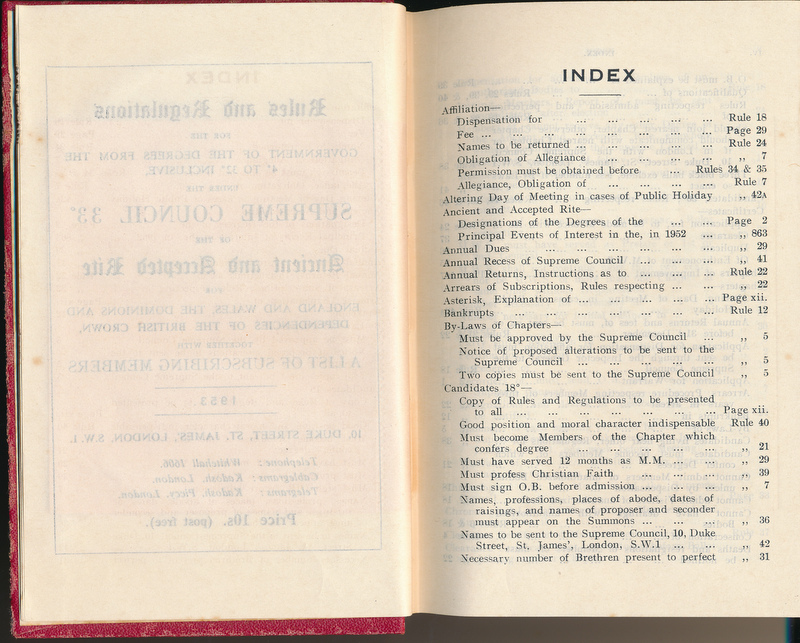 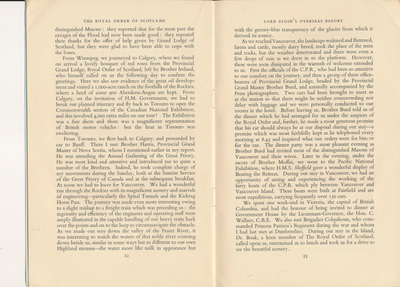 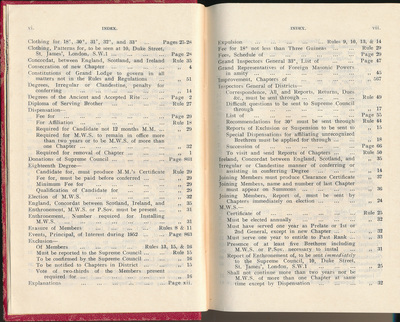 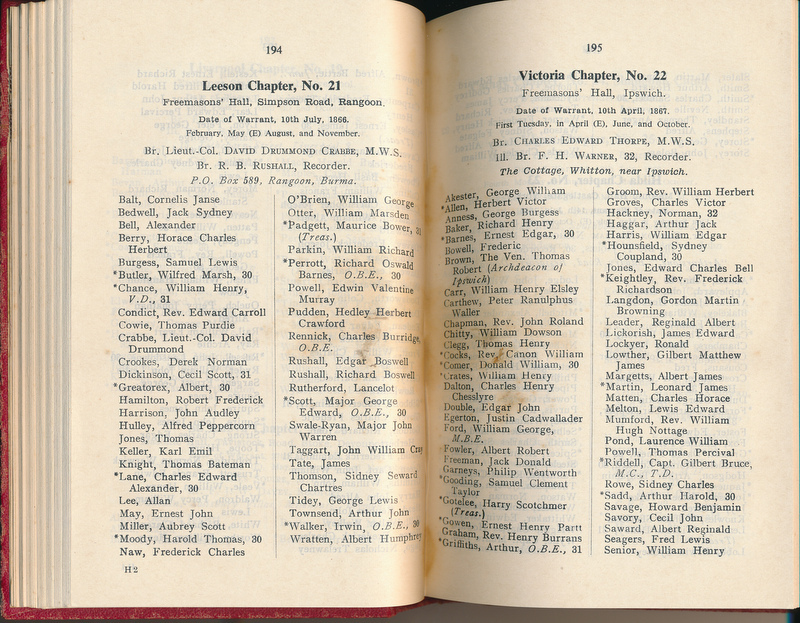 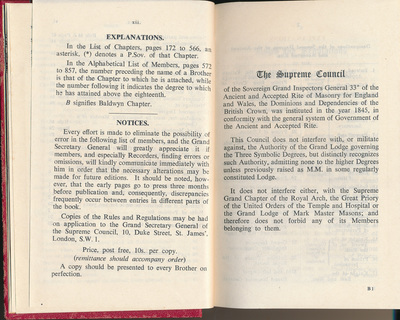 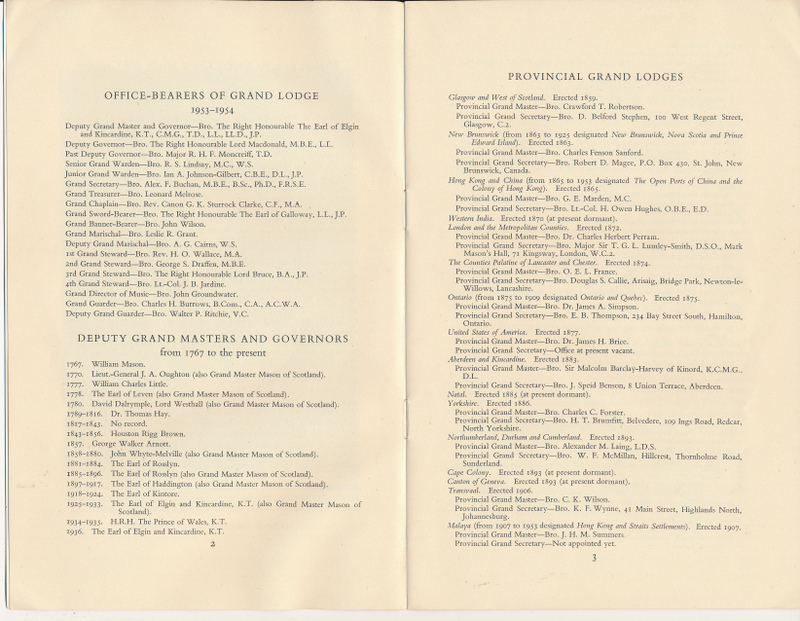 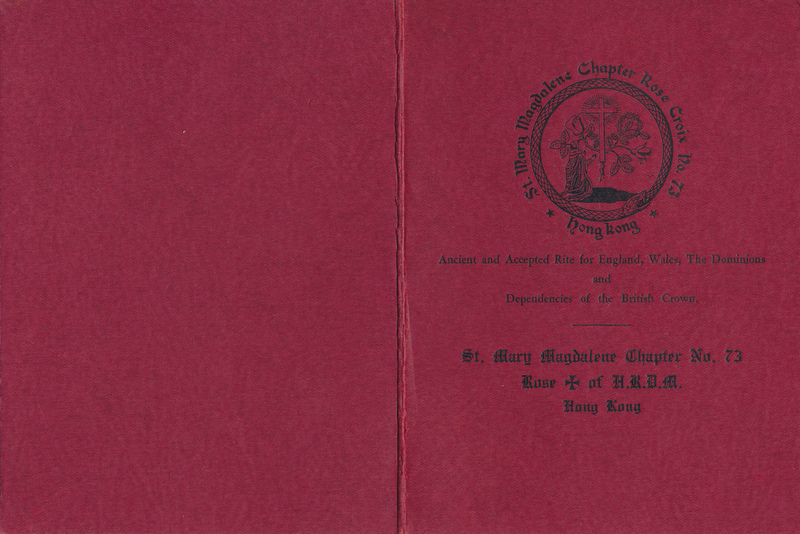 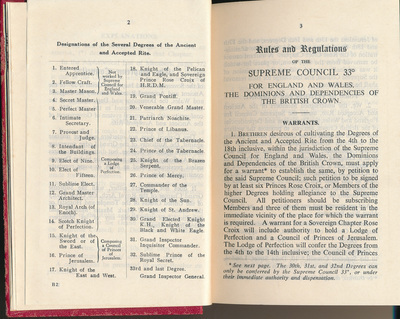 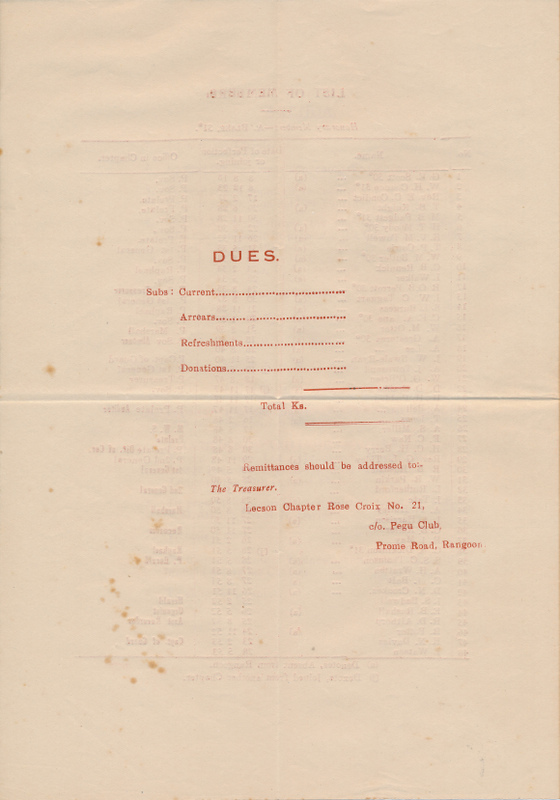 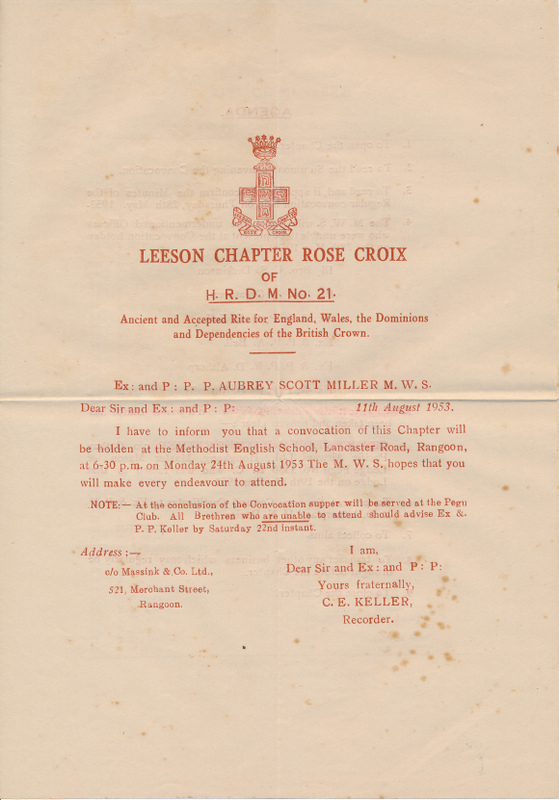 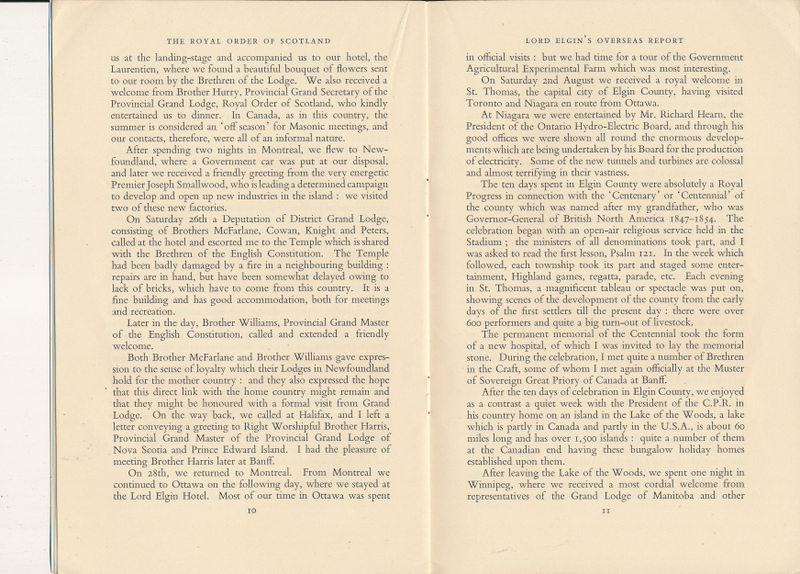 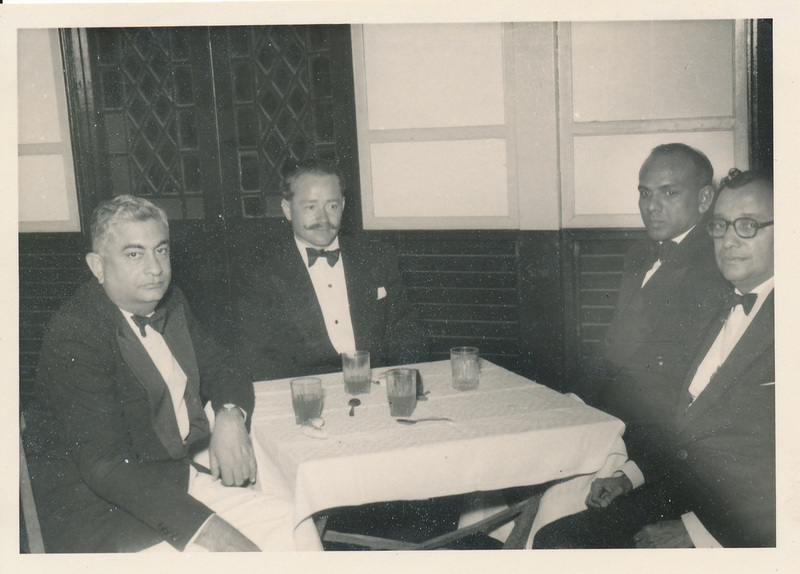 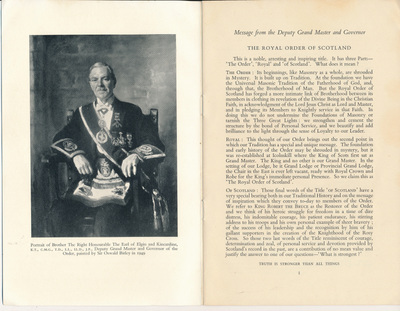 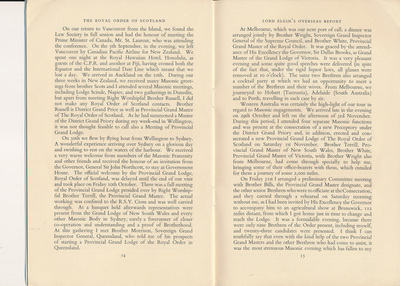 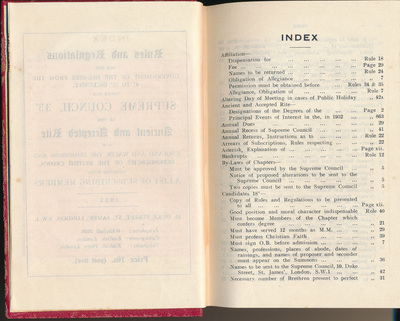 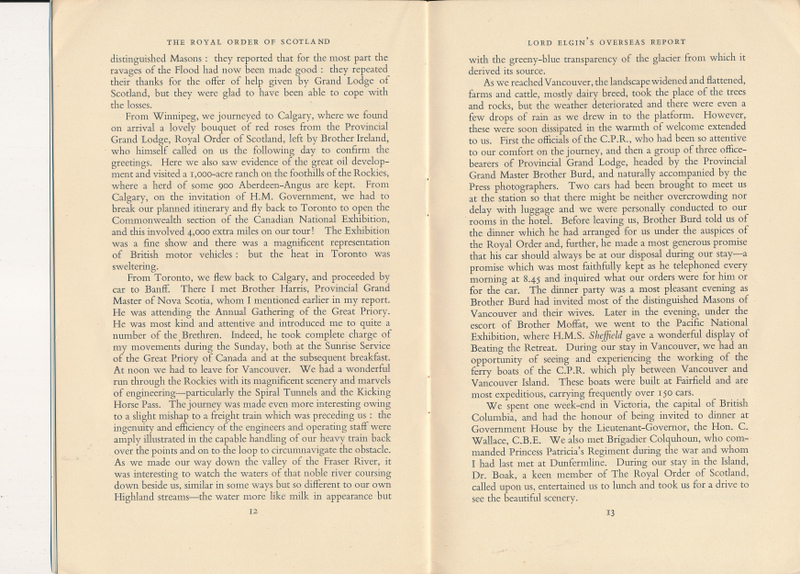 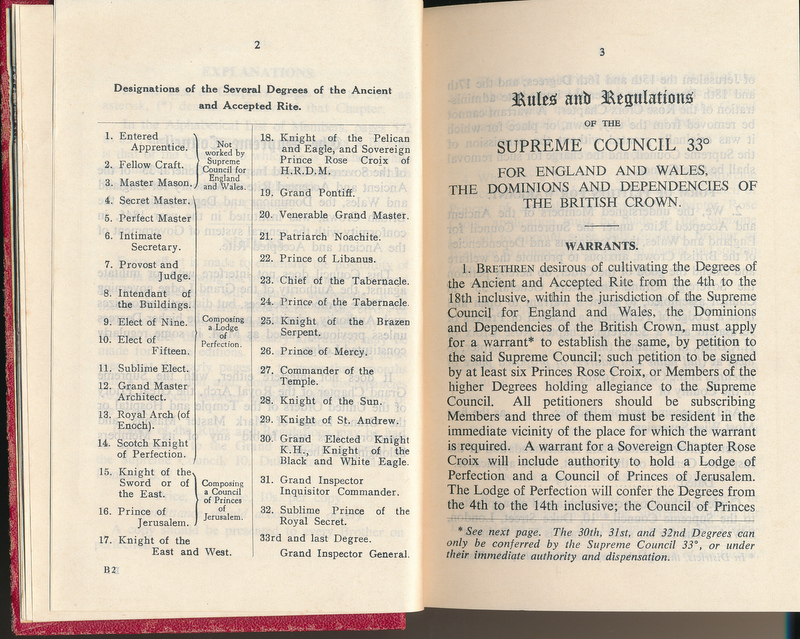 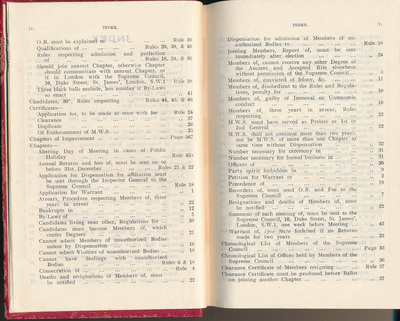 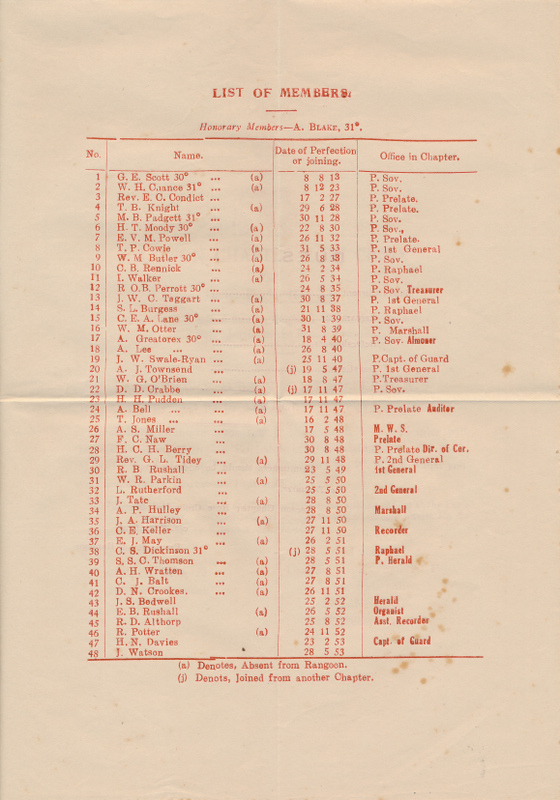 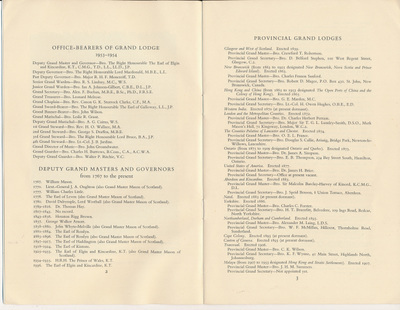 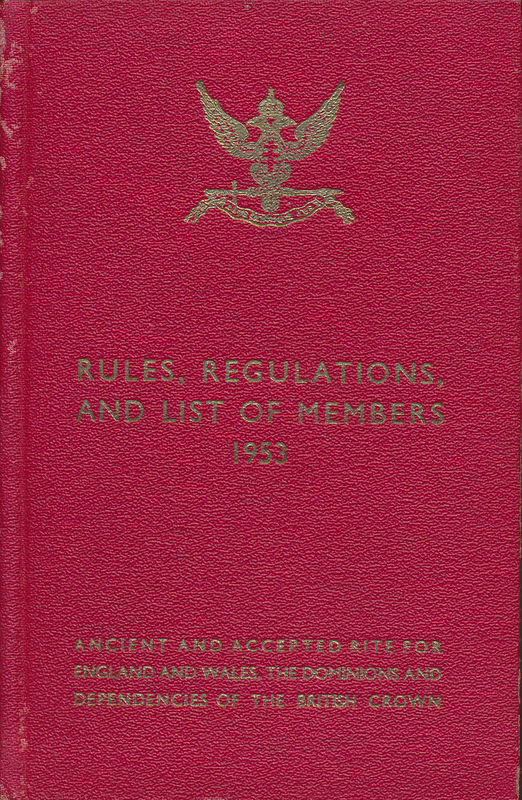 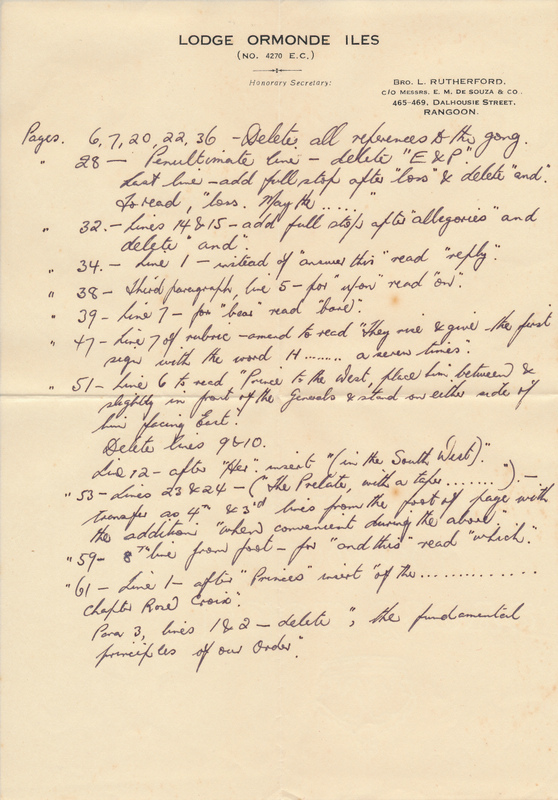 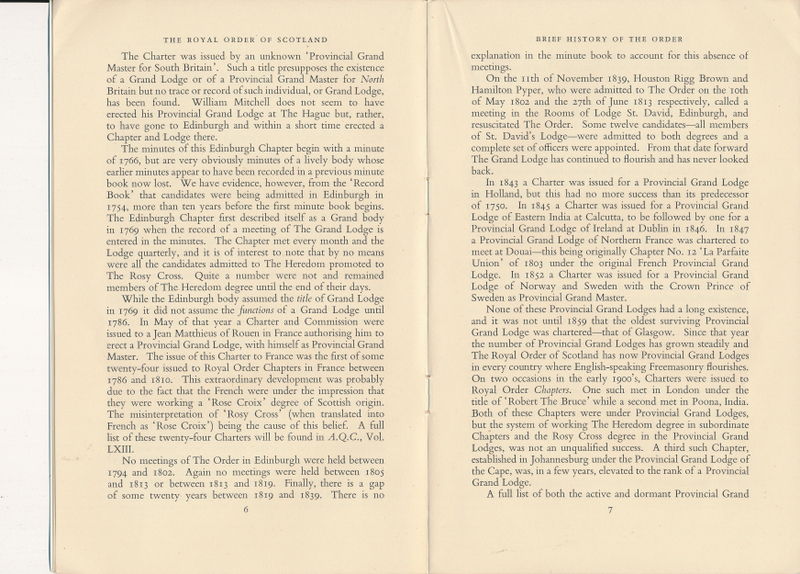 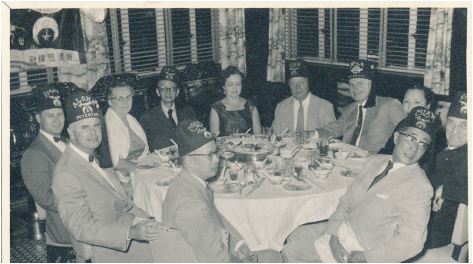 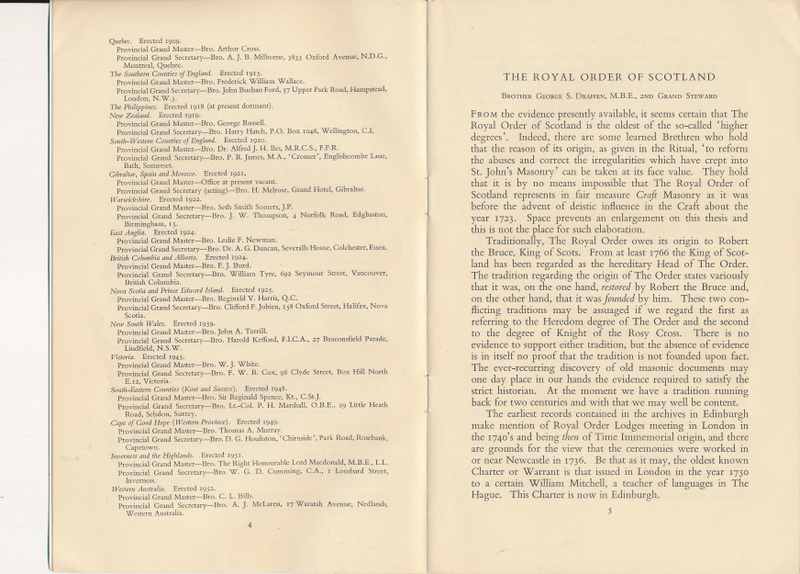 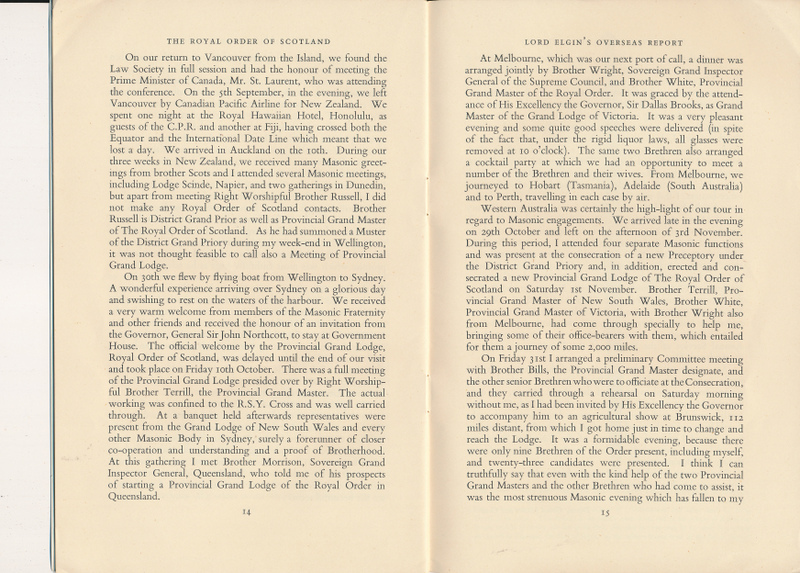 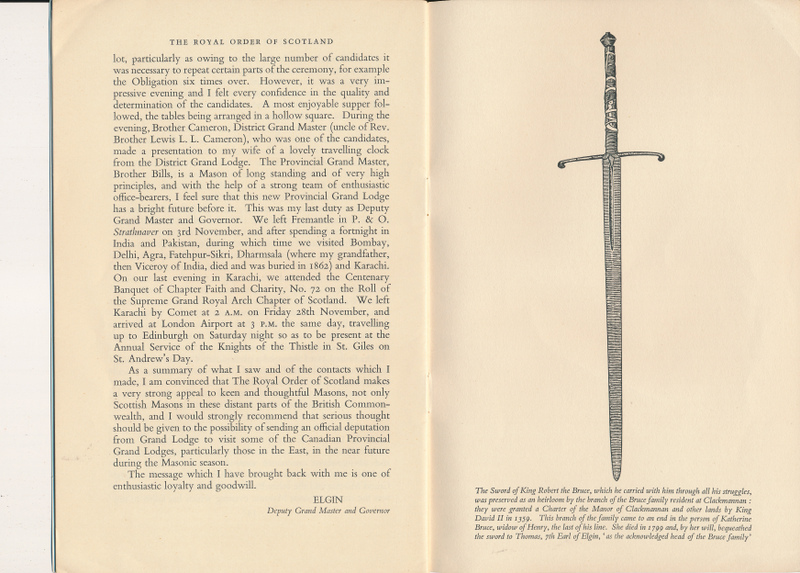 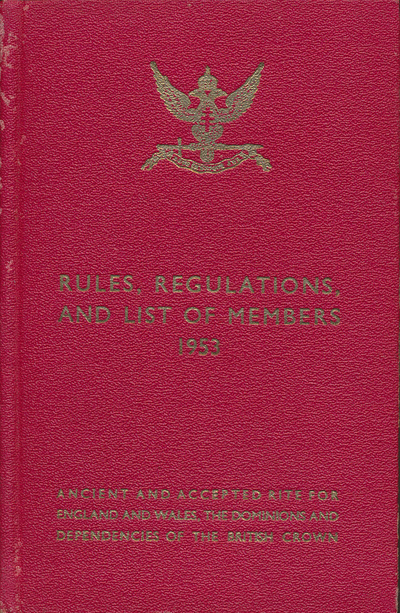 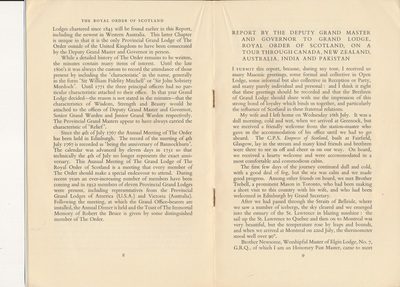 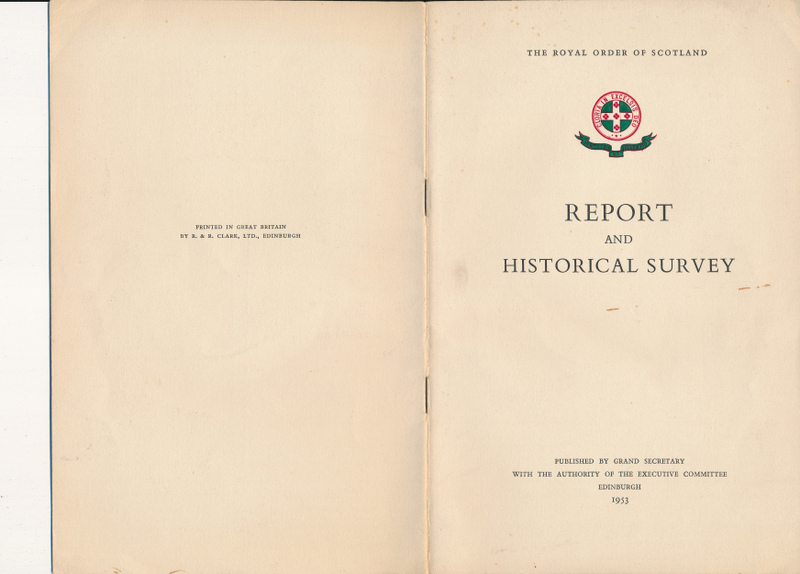 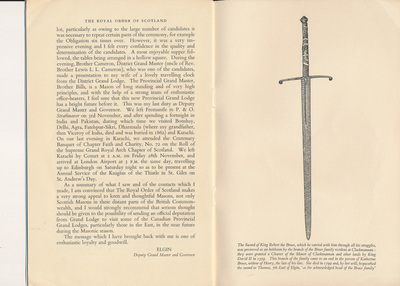 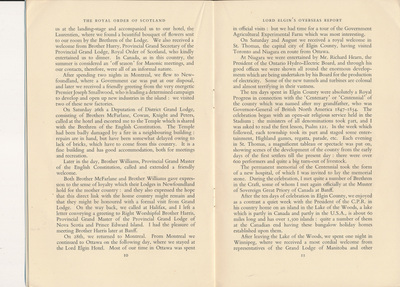 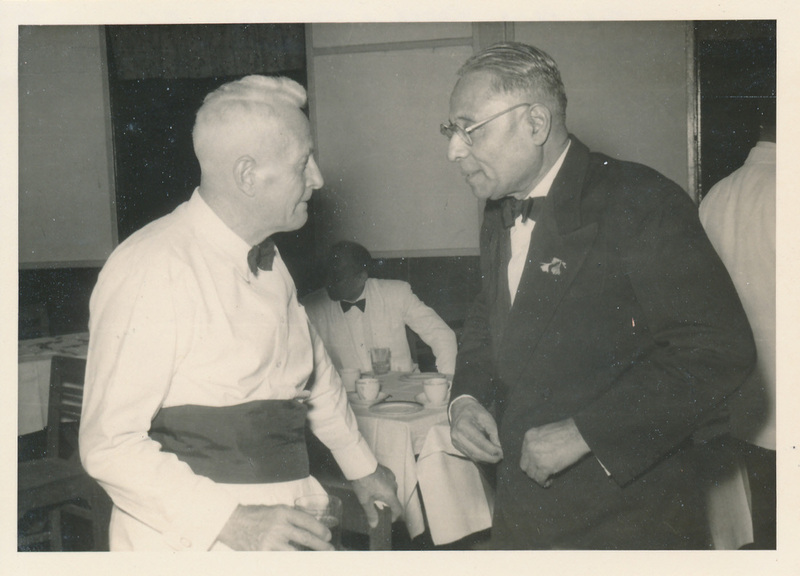 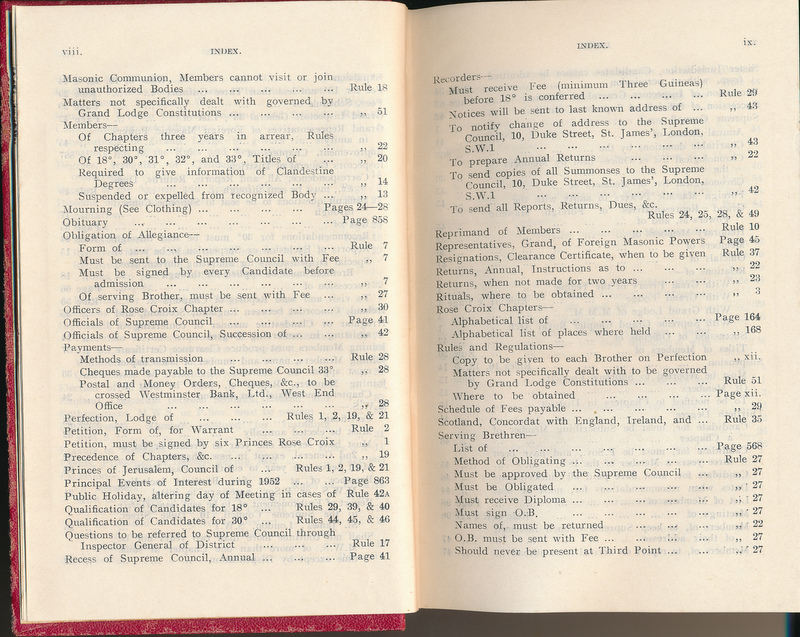 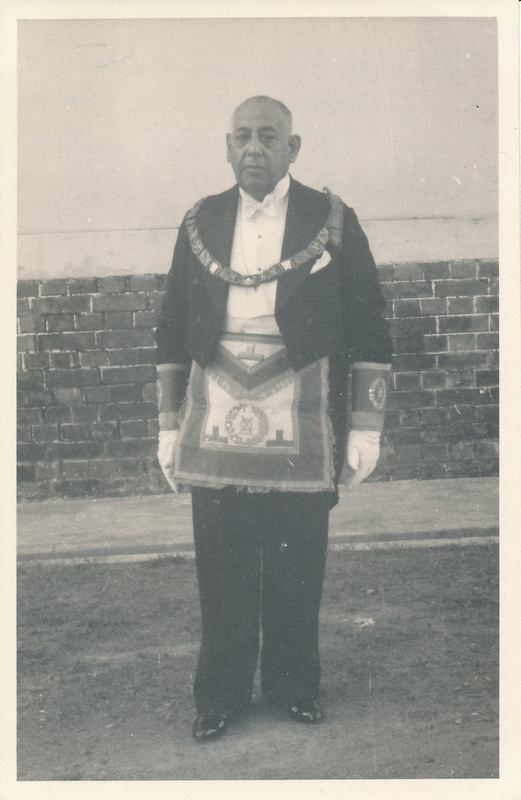 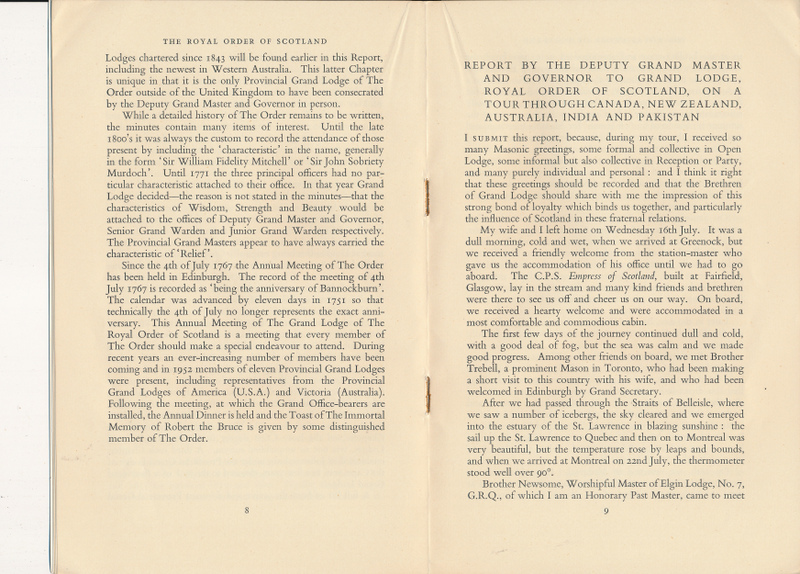 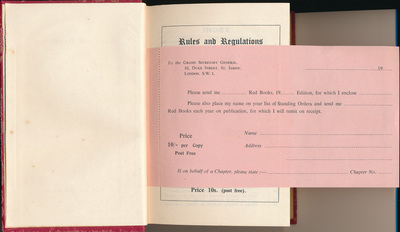 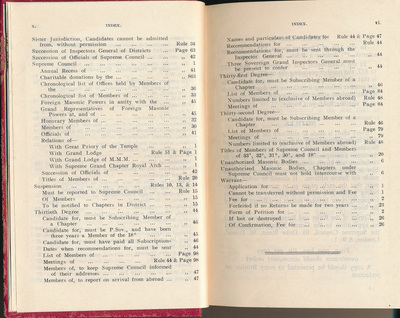 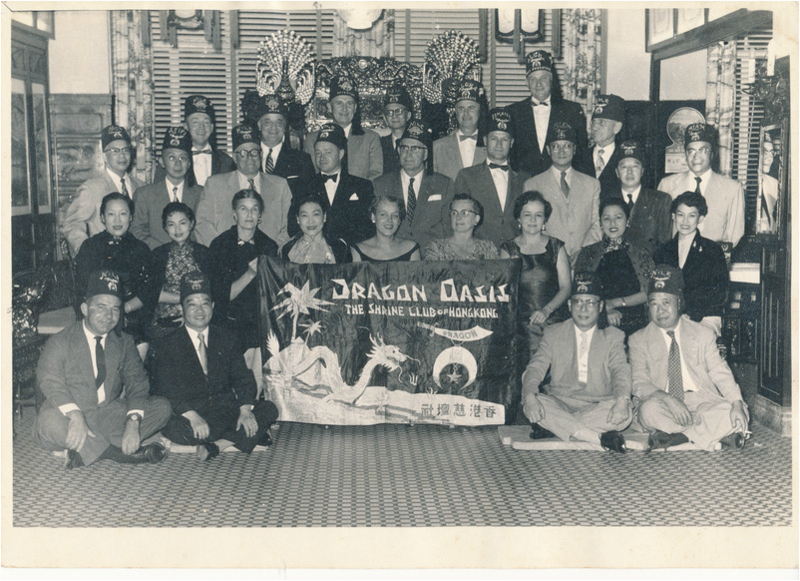 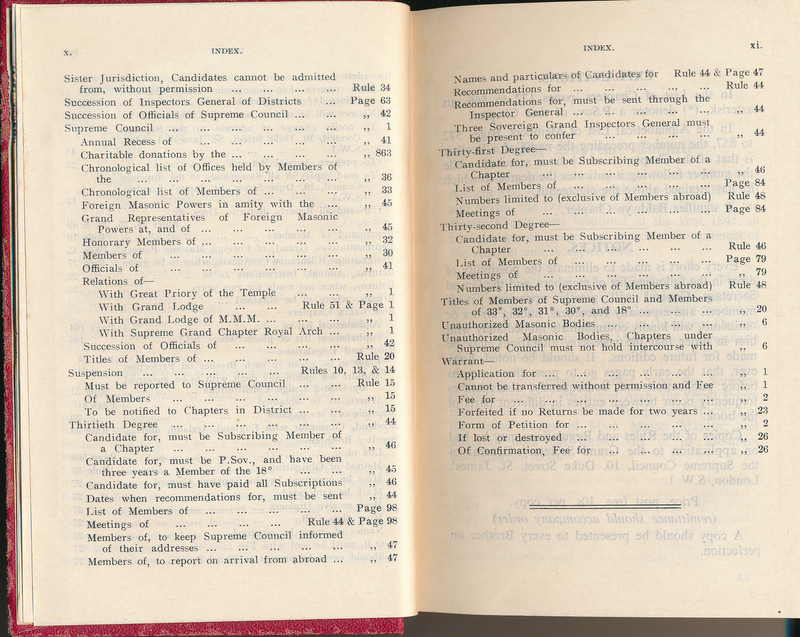 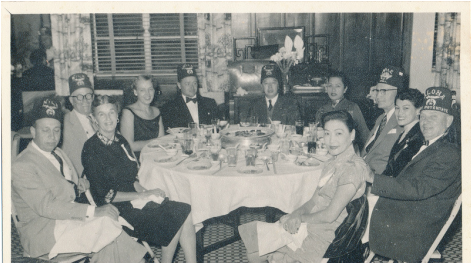 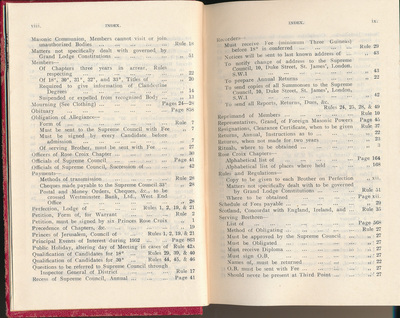 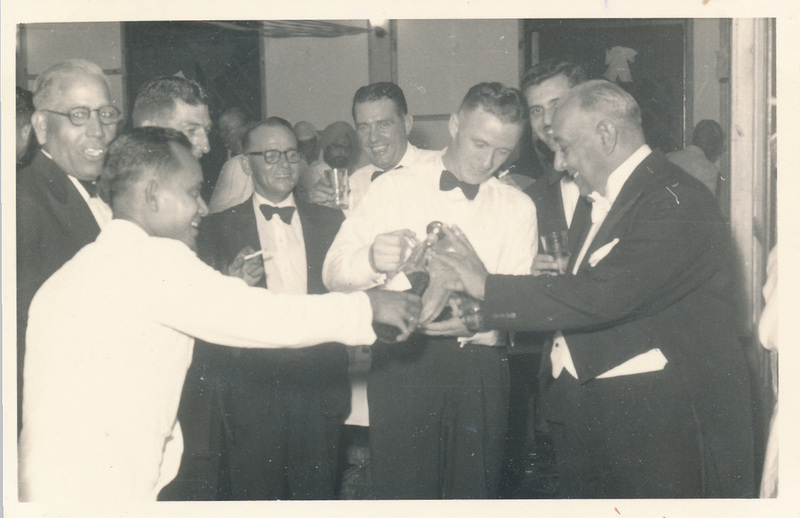 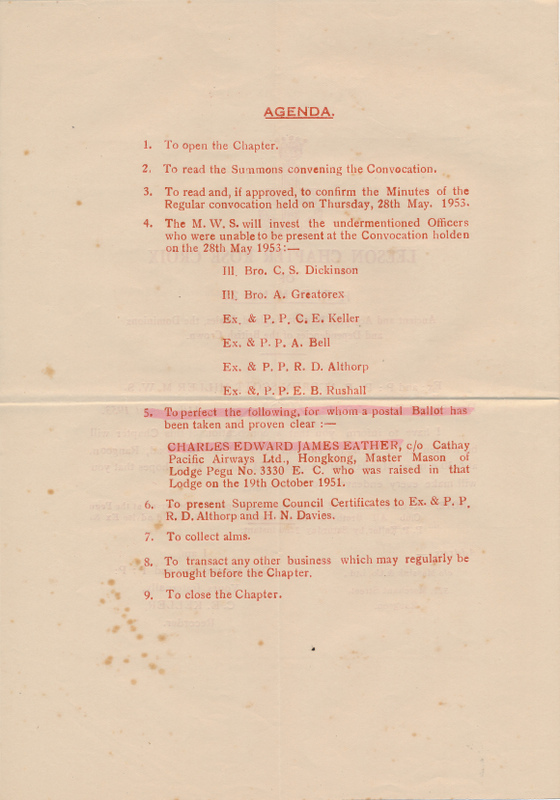 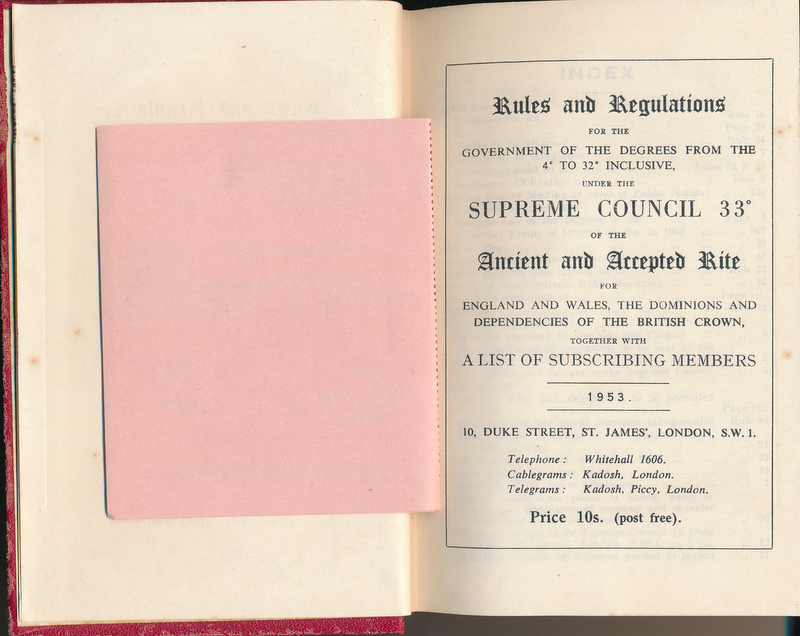 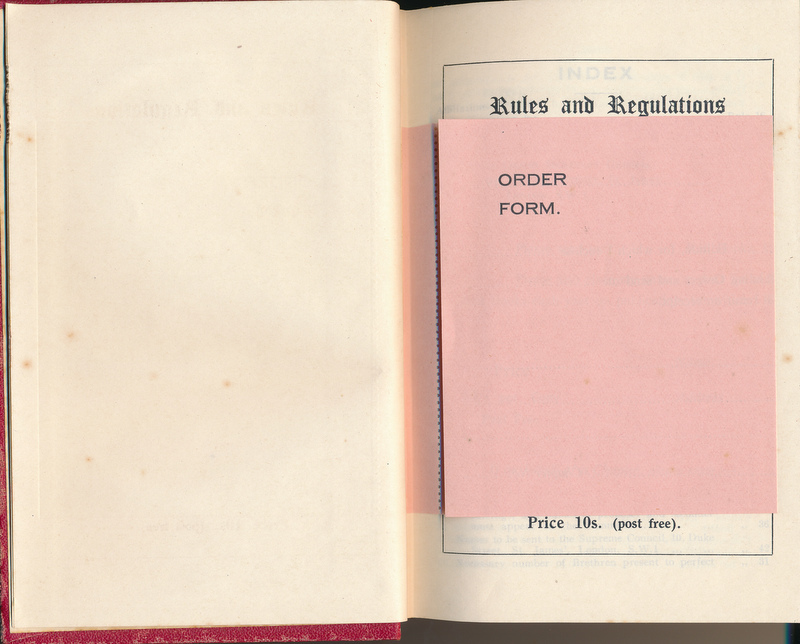 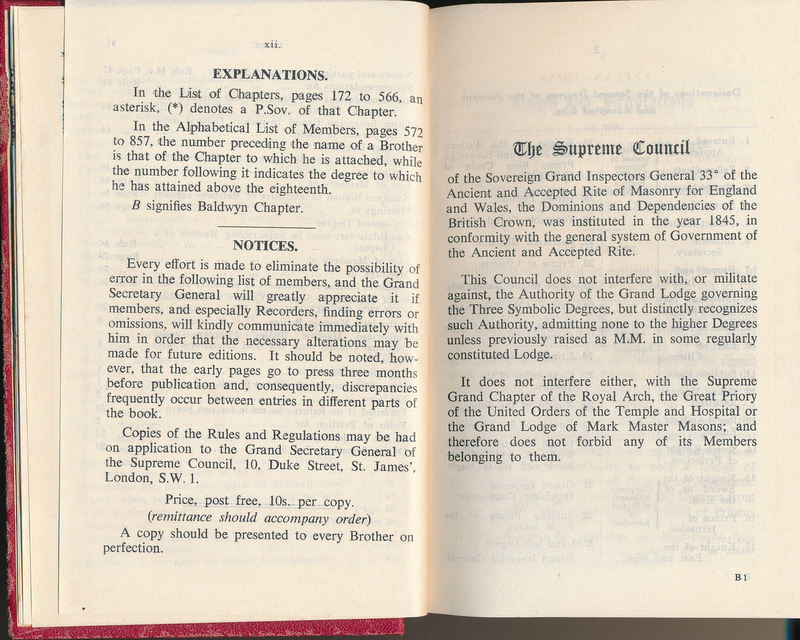 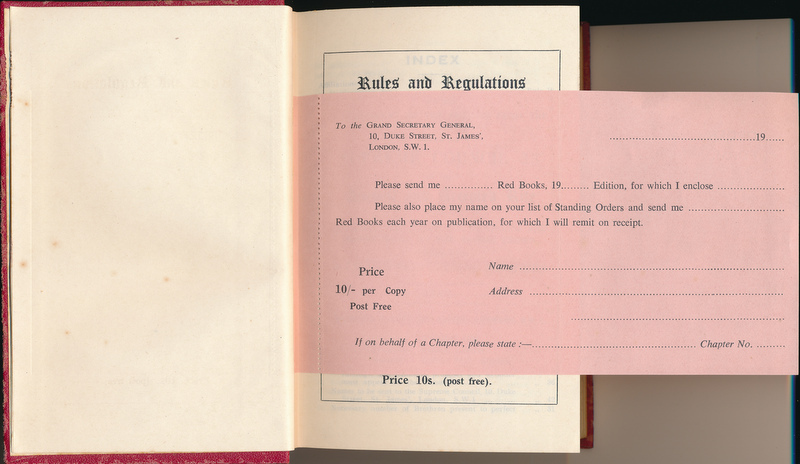 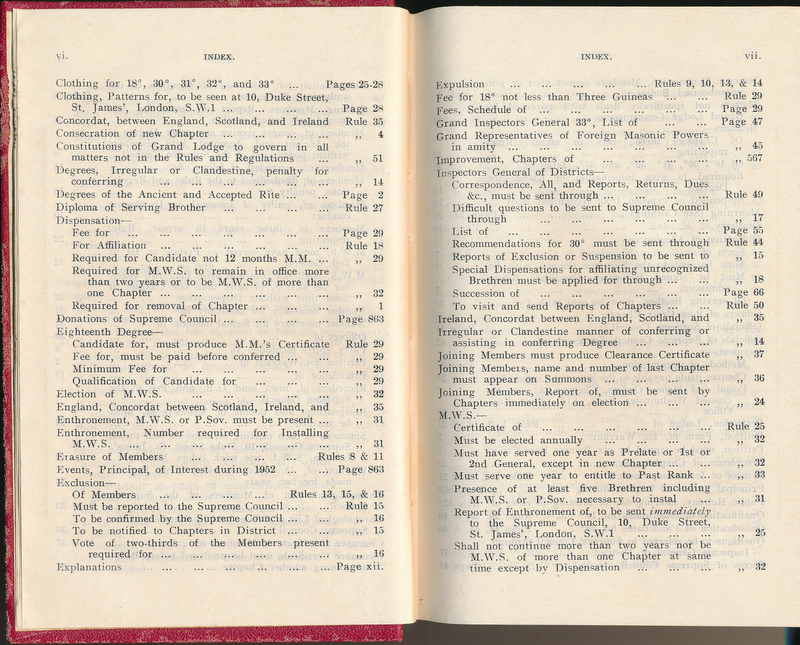 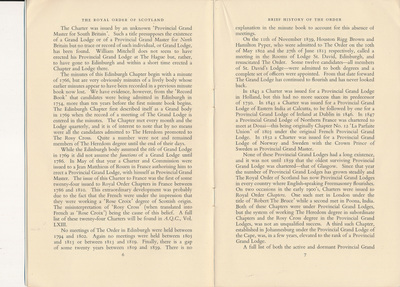 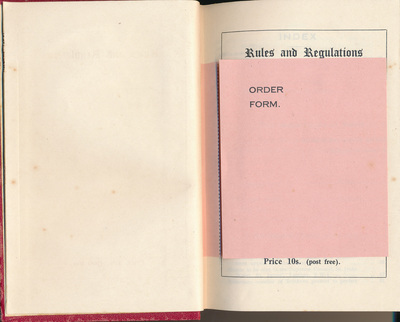 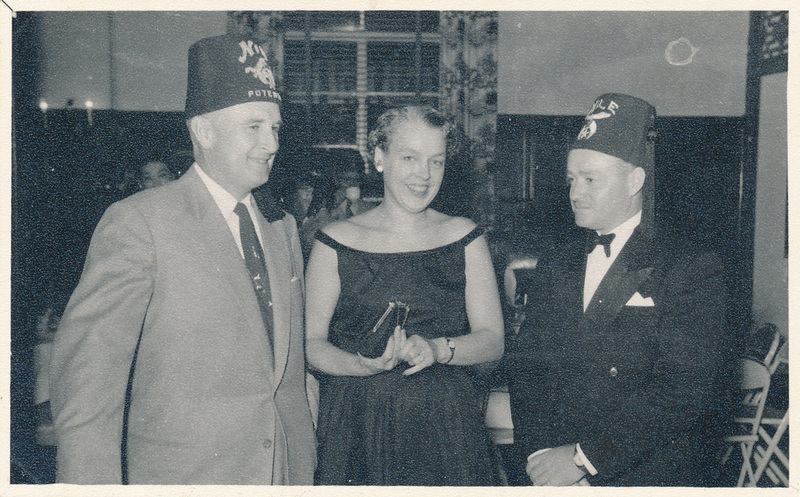 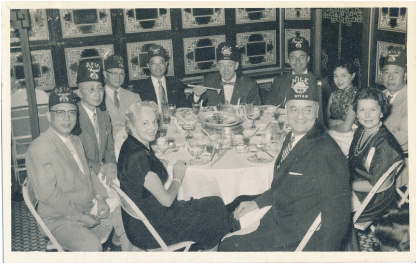 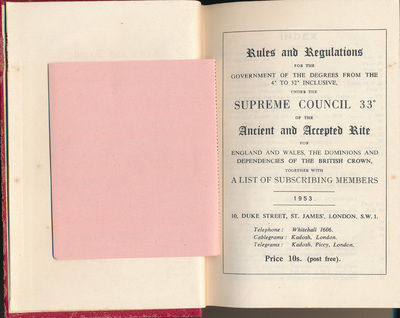 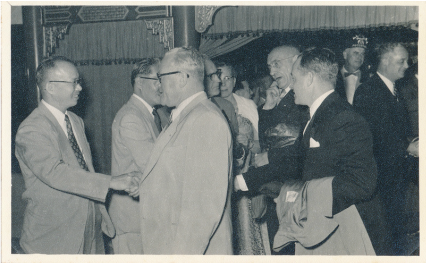 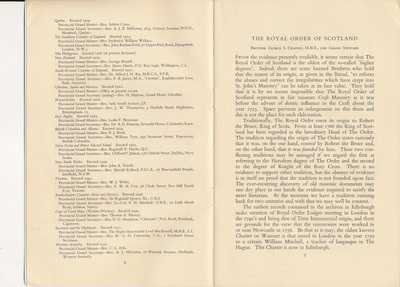 The Pegu Lodge Lodge No.3330 English Constitution Installation dinner and Induction meeting Wednesday 28 January 1953. 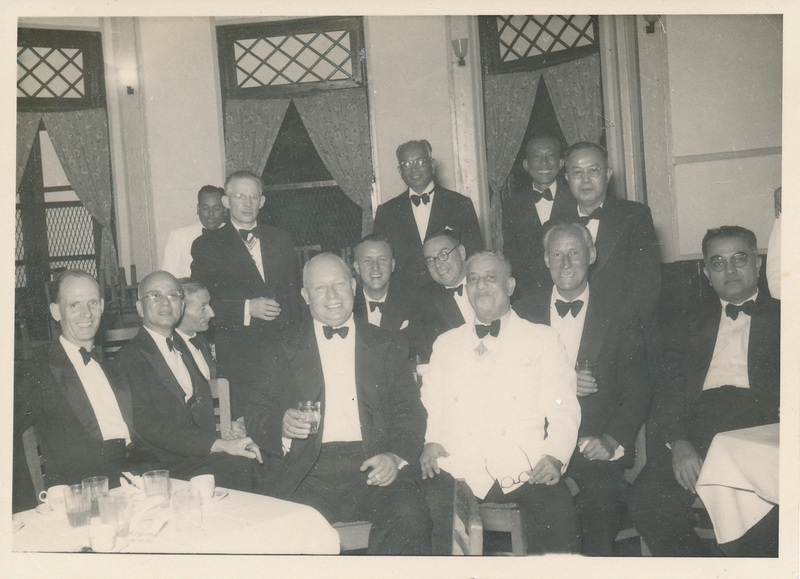 Methodist English School, Lancaster Road, Rangoon, Burma. 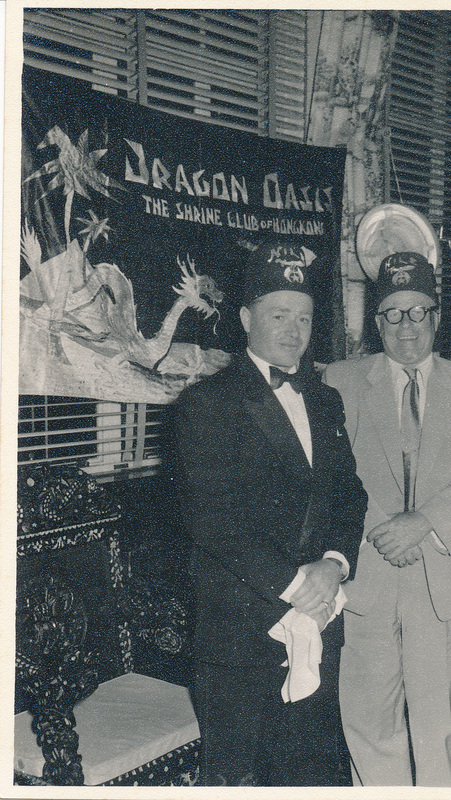 Illinois Potentate Leslie Eastman and his Divan from Nile Temple. 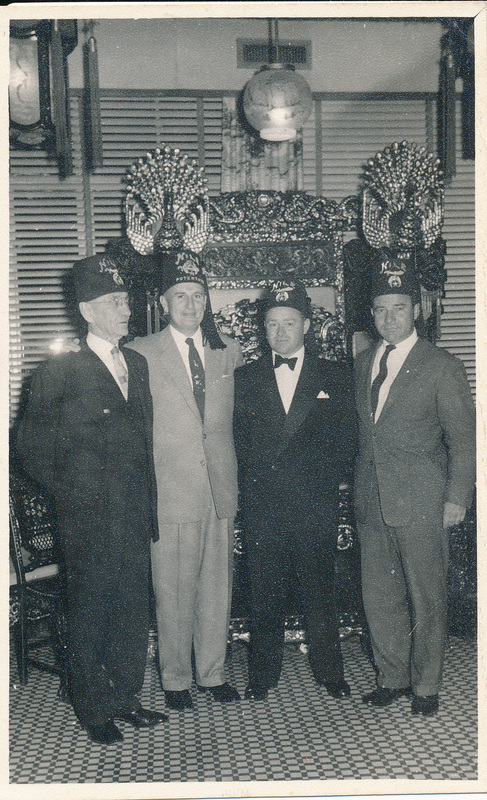 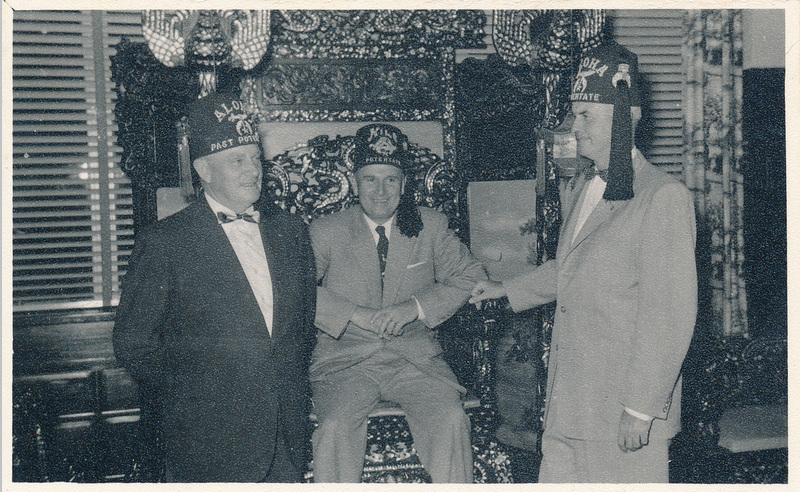 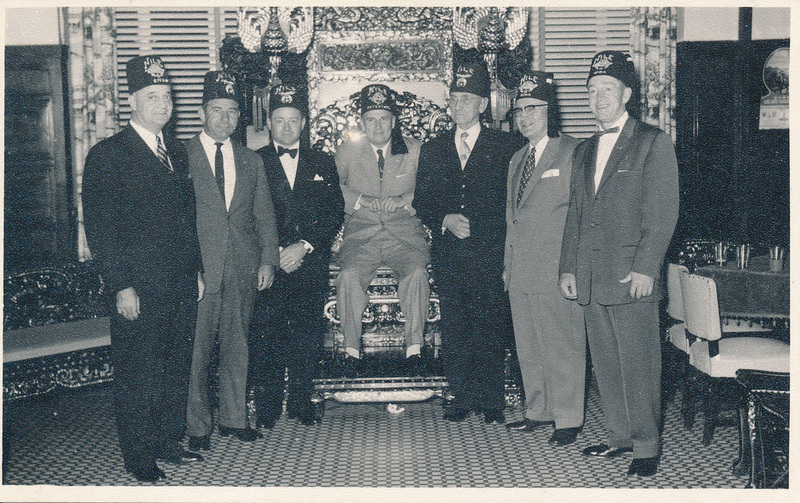 Seattle and Illinois Potentate Theodore F. Trent and his Divan from Aloha Temple, Honolulu.